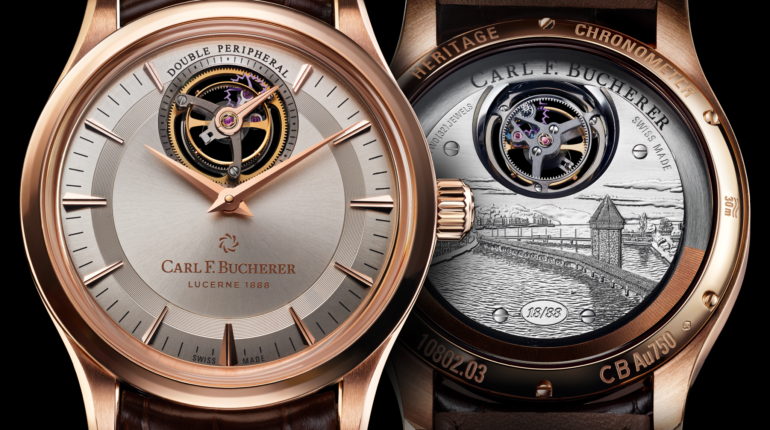 Bucherer, the famous Lucerne watchmaker and jeweller, celebrates 130 years of history by bringing a new dimension to its watch brand Carl F. Bucherer, which has been pioneering in its use of the peripheral oscillating weight. A stunning new model has been designed especially for the occasion. The brand is also exploring new territories in the United States. Here are some explanations. 130 years, three generations, a watchmaking style that focuses resolutely on innovation, and a rapidly expanding network. If you had to give a one-sentence summary of where Bucherer stands in 2018, that probably fits the bill. The Carl F. Bucherer brand has gradually increased its hitting power since its official launch in 2001, on the strength of a watchmaking heritage that goes back a hundred years. The brand’s growth began to accelerate a decade ago, after the launch of a major innovation: an automatic movement driven by a bi-directional mechanism, with a peripheral oscillating weight, in a series production – a first for the industry. “For our 130th anniversary we wanted to launch a revolutionary new initiative, something that would be talked about for decades to come,” exclaims CEO Sascha Moeri. He is referring to the lauch of a completely new collection. First, though, let’s take a look back at the history of the peripheral oscillating weight, Carl F. Bucherer’s signature. 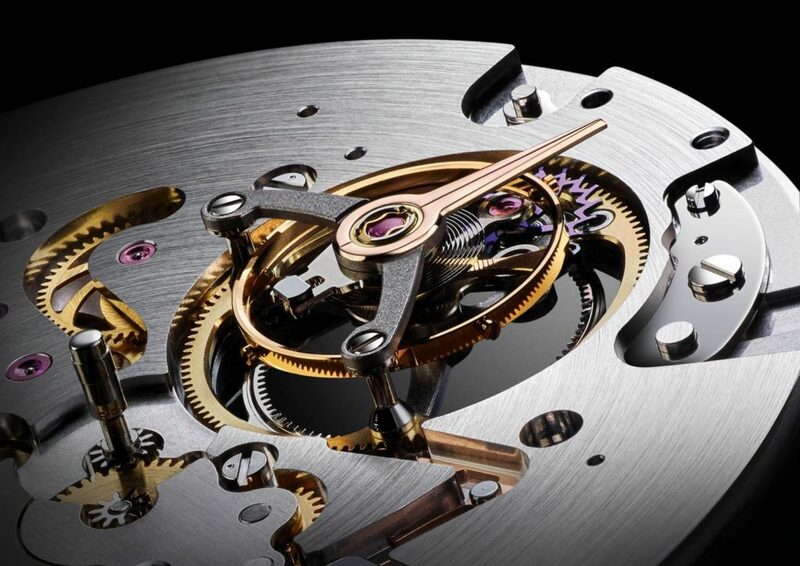 The CFB A1000 movement of 2008 was succeeded in 2016 by the COSC-certified CFB A2000 calibre, which further refined the movement’s unusual construction and unique rotor. This year, another new calibre emerged from the company’s production facility in Lengnau, the CFB T3000, with 189 components. Unveiled at Baselworld, it represents the culmination of this pioneering technological advance. In the meantime other brands have hoisted their colours to the same mast, but Carl F. Bucherer remains the pioneer and leader in the field. The peripheral located rotor is held in place by three ceramic ball bearings placed around its internal circumference, making it extremely shock-resistant. “In our calibre, the rotor rotates around the movement, which gives it a lighter construction and provides an unimpeded view into the heart of the mechanism,” explains Samir Merdanovic, Head of movement Production. For its 130th birthday, the brand has taken its exploration of peripheral technology even further, adding to this unique calibre the watch industry’s most prestigious complication: a tourbillon. But this one is a little different. Unlike other tourbillons you’ll find on the market, flying or not, this one is attached neither to the movement plate, nor to a bridge, and it can be viewed in all its glory from both sides of the watch. The cage of the “suspended tourbillon”, which appears to float up by the 12 o’clock market, is held in place and guided by three ceramic ball bearings around its external circumference. This obviously makes them peripheral too, as well as being invisible to observers! The mechanism is adjusted via an eccentric that optimises the amount of play. Unlike traditional tourbillons, this construction allows for reduced movement height, and provides a view of the mobile cage from both above and below. The watchmaker has also provided its CFB T3000 movement with a silicon pallet and pallet wheel, which takes the watch’s power reserve up to at least 65 hours and, rarely for a tourbillon, has made it eligible for COSC certification. Another unusual feature is the stop-second tourbillon feature, which pauses the cage’s rotation. 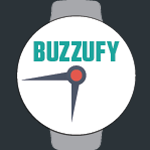 The wearer can thus synchronise their watch to the nearest second. 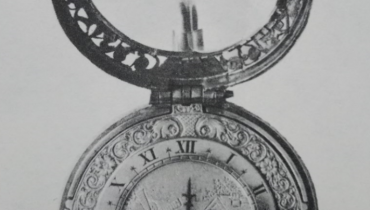 The two main features of this technology – the peripheral oscillating weight and the peripherally suspended tourbillon – naturally led to the name choice of “Tourbillon DoublePeripheral”. Introduced for the first time in Basel as part of the Manero collection, this unique combination has now found a home in a brand new collection created to celebrate the brand’s 130th anniversary: Heritage. The Heritage Tourbillon DoublePeripheral Limited Edition, unveiled in New York in October is the first in what promises to be an annual series of exceptional timepieces, paying tribute to the company’s rich heritage and exploring some surprising innovations. In this respect, the watch does its job particularly well. Turning the watch over to look at the back, the astonishing craftsmanship that has gone into the Heritage series’ inaugural model is revealed. The reverse of the 18-karat white gold case features a handcrafted engraving depicting a view of Lucerne with its famous wooden covered bridge, covering the entire caseback except for the tourbillon aperture. This alone requires more than two weeks of meticulous manual work. But that’s not all: every engraving also features a tiny swan, which appears in a different position on each of the 88 models. This detail relates to the fact that, in 1888, Carl F. Bucherer opened his first specialised shop in the Schwanenplatz – the Place of the Swan. The shape of the 42,5 mm 18-karat rose gold case and the decoration of the sunbrushed dial, with its raised outer circle punctuated by diamond-cut markers, are inspired by some of the great classics of the 1960s, in line with the Heritage collection’s mission to combine retro design with cutting-edge technology. 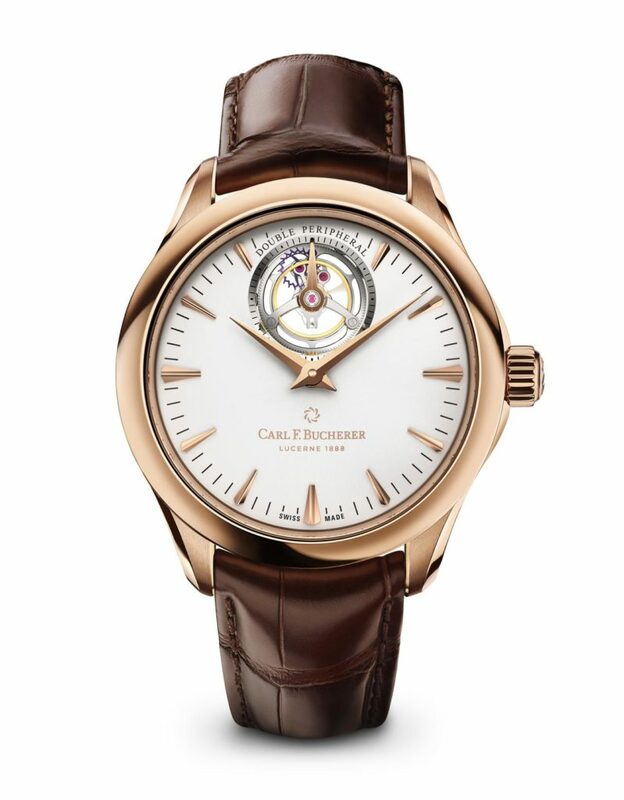 To celebrate the brand’s 130th anniversary, the peripheral oscillating weight is also made of 22K rose gold. “Bucherer watches have been in circulation since 1919,” Sascha Moeri points out. “We have always created particularly innovative watches, in partnership with other brands, from chronographs to diving watches. But our production was always limited to our shops in Switzerland. In 2001 an important change was made, with the decision to export our products and create a completely separate watch brand, which we baptised Carl F. Bucherer. Today, we are limited only by our production capacity. 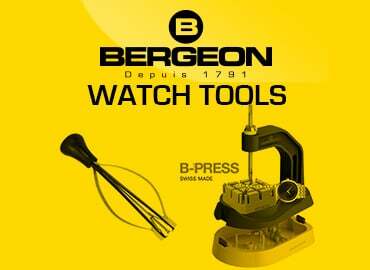 We won’t exceed 40,000 units, however, because we want to remain an exclusive watchmaker”. 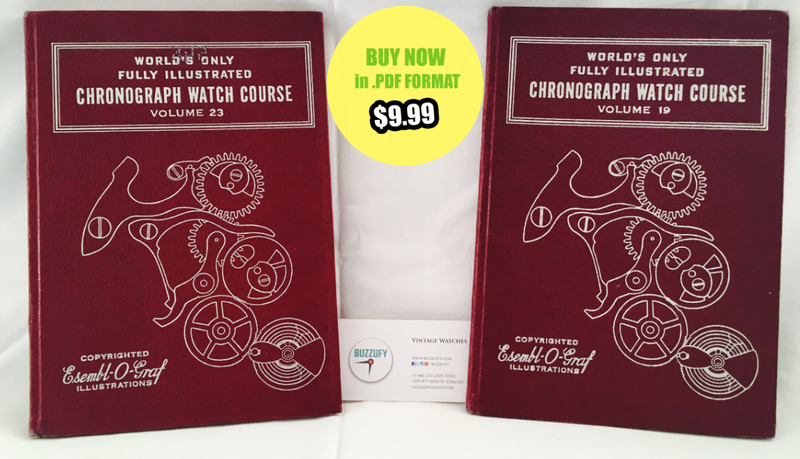 What’s the Difference Between Grade and Model on Watches ?